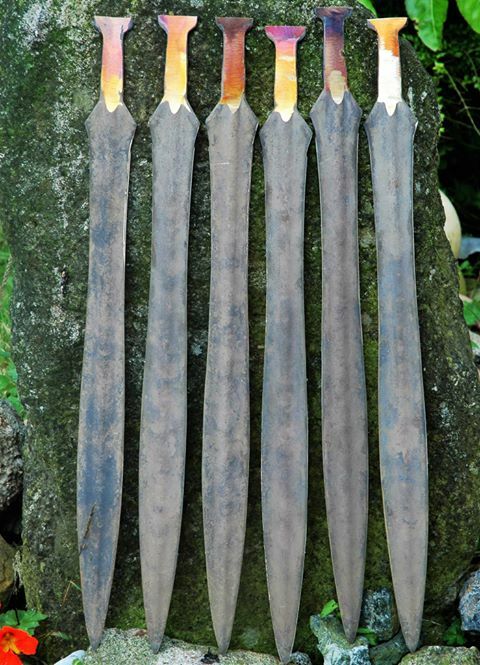 A two day workshop exploring the manufacture of bronze swords in the Late Bronze Age. The group will work together to cast a sword using charcoal and bronze age methods. Then each participant will work on there own Ewart Park sword, cleaning, forging and looking at different ways handles were fitted. The development of leaf shaped blades though the late bronze age is the story of the Ewart Park sword making it the most prolific sword from this time in the British isles. I had not known he had stopped doing them! I have been wanting to take one of his classes since I was a newbie on Bronze Age Center (that place still active? ), but I have never really had the money to fly over. Any idea if it is gone forever, now? You would have to call the Crannog Centre and find out! I asked him last year and he said that he was not doing the camp-and-cast-a-sword workshops but occasionally demonstrated at Butseter Ancient Farm and places like that. A real shame, that. Such is life! As is, I’ve had a hard enough time getting in contact with him to simply *buy* things. Been wanting to know if he’s remade his kopesh molds for ages now, but little to no response.